The Poet Sculpture is a performance based sculpture that is performed by poets. It has been performed at the Queens Museum, The New Museum's Idea City, the DUMBO Arts Festival, Art in Odd Places, The 8th Floor (The Shelley & Donald Rubin Foundation) and others. 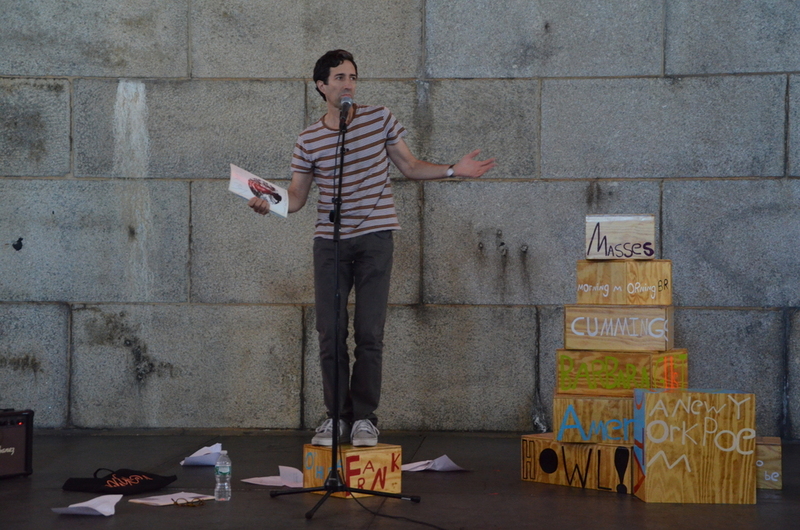 The Poet Sculpture is an installation and moveable platform comprised of soapboxes of various sizes. Each individual box is designed for an influential poet, and the formation and words of poets are then configured during each performance to define the sculpture. The Poet Sculpture is continually in flux as poets physically interact in real time with the structure to create and manipulate a three-dimensional visual poem while performing their own language based works. 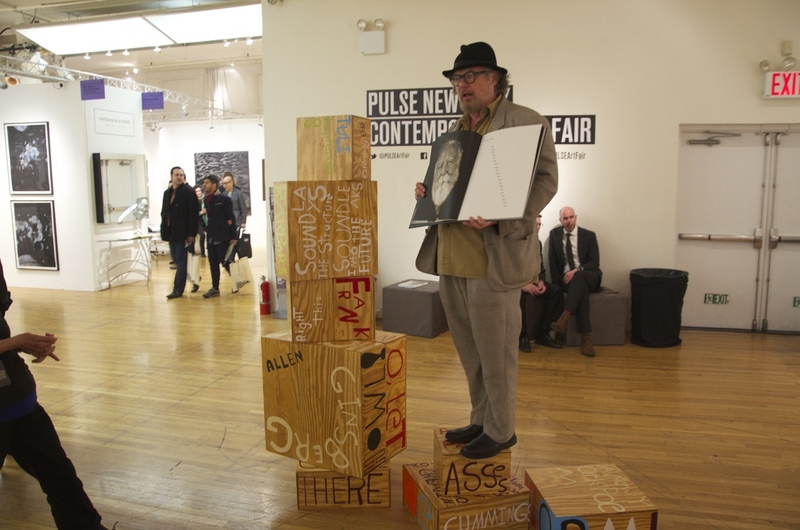 When used as a platform poets interact with soapboxes named for Julia de Burgos, Jayne Cortez, ee cummings, Allen Ginsberg, Barbara Guest, Langston Hughes, Tuli Kupferberg, Taylor Mead, Frank O’Hara, and Pedro Pietri. Poet Sculpture: Free 2014, published by Art in Odd Places and Bowery Poetry Books.